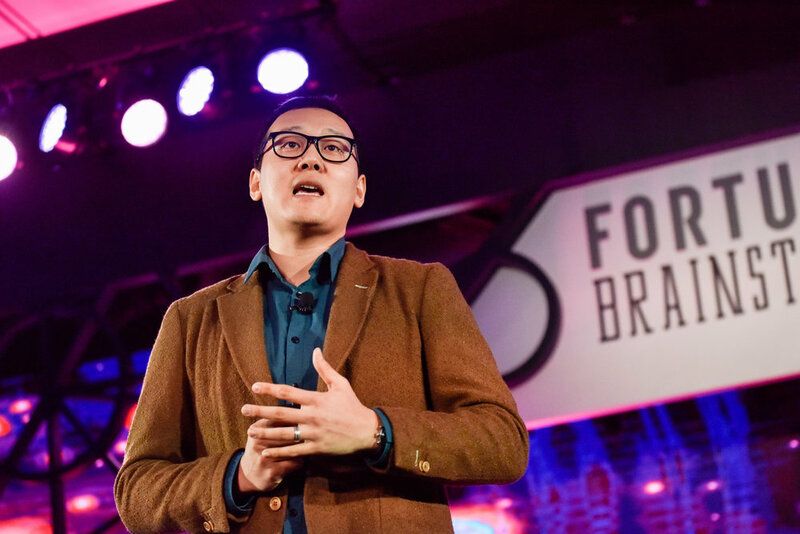 The first-ever Fortune Brainstorm TECH International (BSTI), a powerful new conference convened world’s leaders in the innovation economy space took place on December 5–6, 2017, in Guangzhou, China. As an integral part of BSTI, the Fortune China Innovation Award 2017 was held on December 5, 2017 while 5 winners were announced. Chen Chen, Co-founder and CEO of Saphlux, presenting on stage. Selected as the 15 finalists from over 100 venture-backed start-up companies around the world by a rigorous committee, Saphlux was competing on the final stage of the Innovation Award under the category of Mobility and Green-Tech. After all the contestants of the category giving their presentations and the judges’ comments session, the audience of BSTI was invited to vote for their preferred company using hand-held devices. Anna Fang, CEO and partner of ZhenFund, commented that She’s delighted to see that Saphlux represents the next-generation progression of China and expressed her high expectation for what Saphlux can bring to the world in the next 20 years. The five winners of the Innovation Award would each receive a new car, courtesy of Guangzhou Automobile Corp. and the privilege of free entrance to the 2017 Fortune Global Forum between December 6–8, 2017 in Guangzhou, along with the opportunity to present themselves to the established Global 500 giants on the main stage. 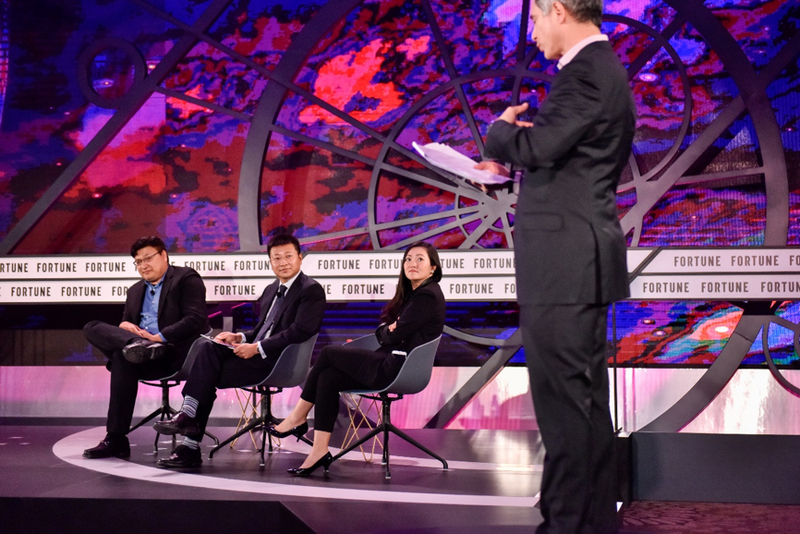 Feng Xingya, President of GAC and Chen Chen, Co-founder and CEO of Saphlux on the main stage of Fortune Global Forum.